Arthur France Lacey’s name was penned onto this portrait of the Laceyville High School Class of 1926 (top), of which he was Valedictorian. 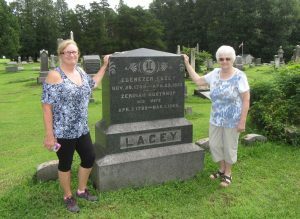 Above, Gladys Lacey Brown (right) and her daughter, Robin Brown, flank a stone erected in memory of Ebenezer Lacey III and his wife, Zeruiah Northrup Lacey. 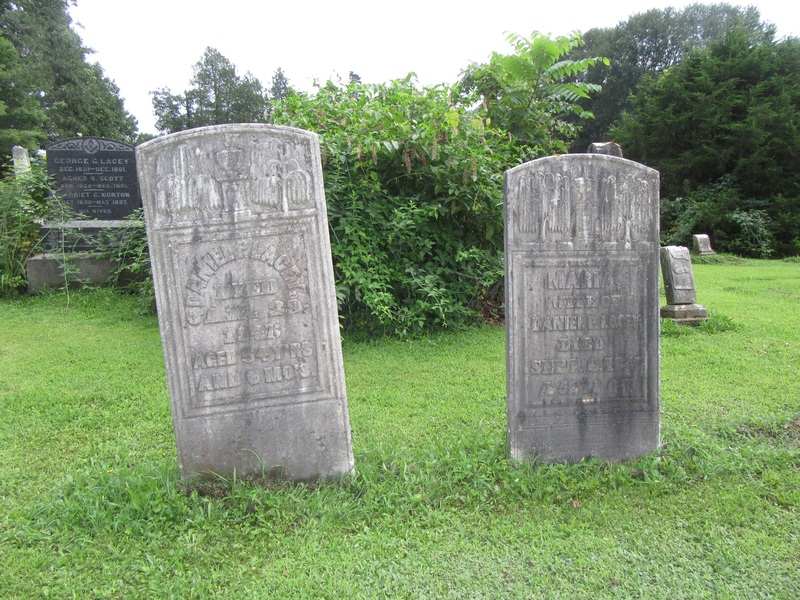 Much older burial stones in the Lacey Street Cemetery mark the graves of the many Laceys that were among Laceyville’s pioneers. At 83 years old, Gladys Lacey Brown lives a stone’s throw away from where her father, grandfather and their ancestors lived since Isaac Lacey arrived in Braintrim Township in the early 1790s. Her comfortable, relatively modern home sits on the 40 acres of farm land that her father, Arthur France Lacey inherited from the original 600-acre homestead. Her daughter, Robin, granddaughter Angela and grandson Steve, and great granddaughter, Joslyn, also live on the property. “It might be a record,” Robin Brown suggests of the unbroken lineage, noting that five and even six generations on a property are fairly common in the Endless Mountains. Her granddaughter Joslyn is 10 generations removed from Isaac. Gladys is aware that other Laceys and Lacys emigrated to the region from New England at about the same time, and it has taken her many years to be sure of the lineup that she can now trace back to a John Lacy, who was born in England around 1586 and died in Boston in 1690. Gladys’s brother Richard was the last born Lacey in her family. Her memories of growing up in and around Laceyville at a time when almost everything that anyone needed in life could be found in town or the surrounding townships are preceded by a smattering of facts and folklore that she can pass down to her children’s children. 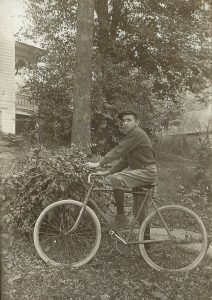 The Lacys and Laceys were among a large number of settlers from Connecticut scouting northeastern Pennsylvania since the 1750s under the premise that it belonged to Connecticut, which, along with Pennsylvania, had signed treaties with the Native Americans to purchase the same lands. Through a series of military skirmishes called the Yankee Pennamite Wars and some serious legal wrangling, the disputed parts of what would become Susquehanna and Wyoming counties, along with the upper parts of the Wyoming Valley, were fully recognized as Pennsylvania by 1799, but not before Isaac Lacey and others purchased their land twice, from both the Connecticut Susquehanna Company and William Penn’s family. Isaac and his son, David, likely visited the area several times via New Milford before purchasing his tract of land in Braintrim. Isaac then sent for his father and grandfather, Ebenezer Lacey Sr. and Jr. and their families, who also moved to Braintrim. 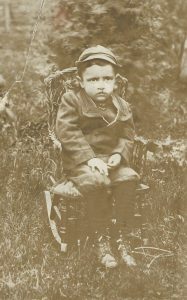 Isaac’s descendants, in order to Gladys’s father, were Daniel Pratt Lacey, William B. Lacey, Arthur Ruel Lacey, Frank Ward Lacey, and Arthur France Lacey. The Lacey name ended with Gladys’s brother, Richard Arthur, who had no male children. Many of the deceased Laceys were interred in the Lacey Street cemetery, a short walk from Gladys’s home. They married into many still-common family names like Canfield, Jackson, Whipple, Northrup, Gregory and Pickett. “They were mostly prominent business men,” Gladys says of her male ancestors. Isaac was a farmer and a weaver, growing his family of four children from a log cabin. He left each of them a hundred acres or more. The early Laceys were instrumental in the development of the Braintrim Baptist Church, the first Baptist congregation in what was not yet Wyoming County and still active today. The Laceys would go on to own numerous businesses in the town, including a hardware store that has stood the test of time, a drug store, and jewelry and watch store. They fought in almost every conflict from the French and Indian Wars forward. Ebenezer Lacey III fought in the War of 1812 and built canal boats and barges that were used to transport goods and people on the Susquehanna River. 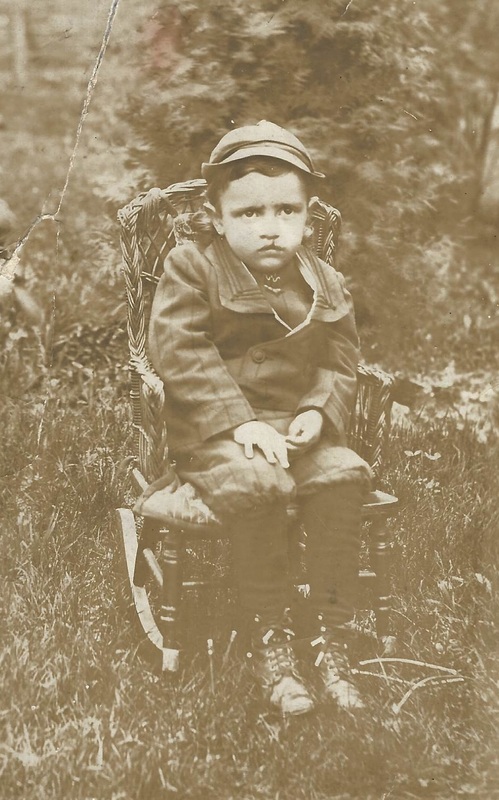 Daniel’s son, William, was struck by a train while walking the tracks on New Year’s Eve, 1885 and died early the next morning. Arthur Ruels’s brother, William, was another casualty of the railroad. His leg was crushed by a train, but he was able to drag himself home and survived an amputation, getting around for the remainder of his years with a wooden leg. Gladys remembers that the prosthesis hung in a barn long after William’s death. “My grandfather (Frank Ward) used to tell us to stay out of the barn, or that leg would get us,” Gladys laughs. Robin also remembers the cluster of large barns down the road that became her grandfather Arthur’s farm. Gladys’s grandfather, Frank Lacey, went to Philadelphia to learn watch making. Prior to that, he taught school in a one-room building, the remains of which now hide among weeds and scrub brush along Lacey Street. His brother, Ward Lacey, was a physician who wrote poetry. Frank started a watch business and drug store, which Gladys’s father, Arthur France, took over. 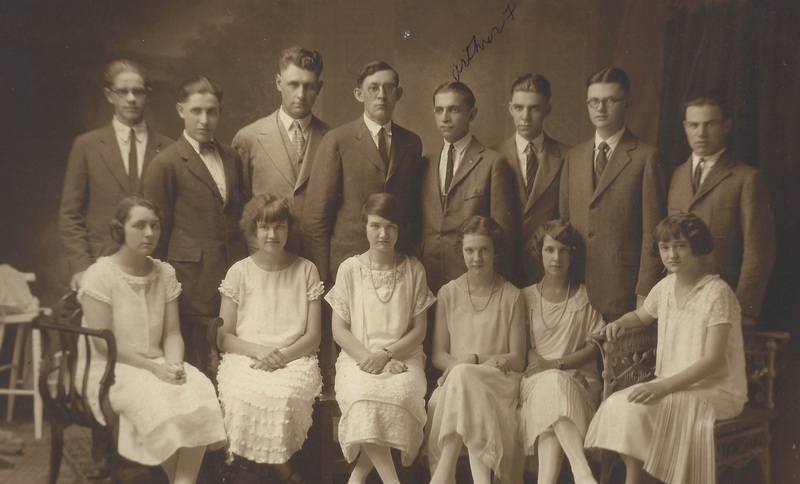 Arthur was the Valedictorian of the Laceyville High School Class of 1926. “I still have his speech,” Gladys says proudly. “He was also a great poet with beautiful penmanship.” Arthur also had a knack for carpentry and upgrading old homes for modern living, a skill that passed down through the family to Gladys’s son, Curt, with whom she resides. Gladys was born on Franklin Street to Arthur and Marie Williams Lacey. 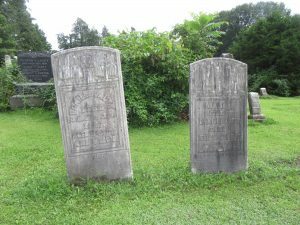 Her mother was from Mehoopany, where her father Burton was a justice of the peace. 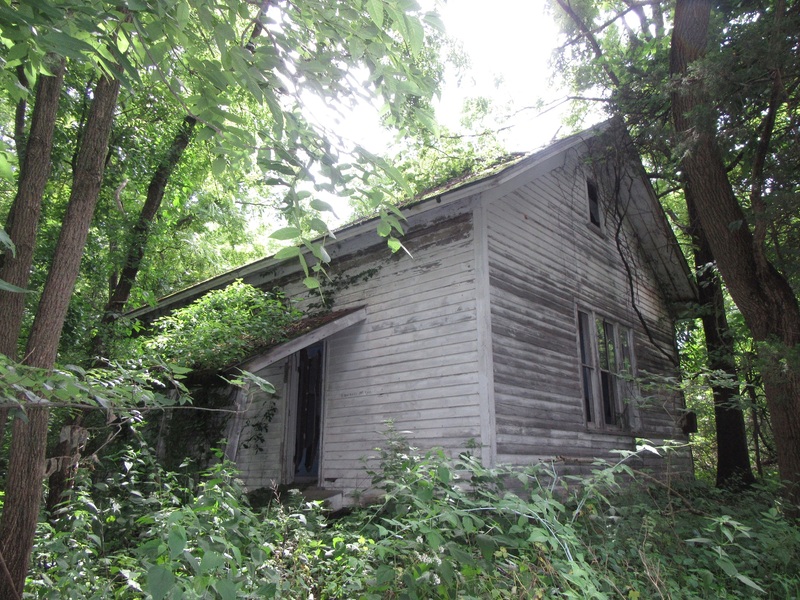 Gladys attended the Laceyville School when all grades were still in one building. She played hide’n’go-seek, kick the can, and hop scotch with childhood friends Ronnie Learn, Iona and Helen Saylor, Carol Swisher, Jimmie Harris, and members of the Rosencrantz family. “It was a different world,” Gladys recalls. “You could go for a walk any time of the day, and you didn’t have to worry about anything.” She also remembers that few people had cars in those days. “We never left town. Everything that we needed was here.” In addition to her father’s store, there was a locker plant, an ACME, a five & dime, barber shop, hotel, an A&P, and the hardware store. She witnessed massive fires sweeping away businesses at the center of town in 1941 and 1963. Only the hardware store remains intact, she relates. The first car her father ever bought was a second-hand Pontiac. The exterior was pretty well worn, so Arthur spray painted it. Marriage briefly took Gladys away from Laceyville, once to the Petuxent River Naval Base, and for several years to Susquehanna County. She returned to Laceyville in about 1962 with Curt, and her daughters Cynthia and Robin. She married Welles Al Brown in 1963 and had son, Kris. They remained married for 47 years until Al’s death in 2011. Gladys worked for more than 33 years at Bendix in South Montrose. Robin and Curt are in Braintrim Township; Cynthia and her husband, Tom Tesluk, are currently traveling the country; and Kris has a home inspection business in Cornelius, S.C.
Like most small towns, Gladys laments that Laceyville has changed so much from the days when she knew everybody in her school and Main Street was bustling with activity all day long. “At one time, I knew everybody’s house. Now I only know a few,” she remarks. But Gladys is very proud of her collection of old photos and letters, genealogy charts, and files of family history and the fact that she and her descendants have many years ahead of them on Isaac Lacey’s original homestead. 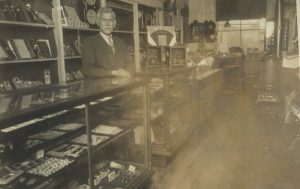 Frank Ward Lacey is shown behind the counter of the watch and jewelry store he ran in Laceyville and later passed down to his son, Arthur. Gladys Lacey Brown’s father, Arthur Lacey, was born with a hair lip that was corrected with surgery when he was a young adult. Having a bicycle was a big deal for Laceyville youths, and Arthur was fortunate enough to have one in the 1920s. 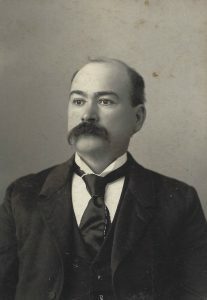 Ward Lacey was a prominent physician in Laceyville and dabbled in poetry. 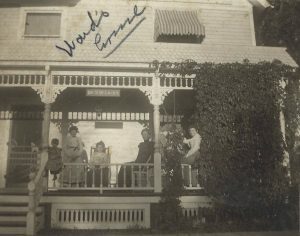 The ladies of the Ward Lacey home are reposed on the front porch of the house, in which he also had a doctor’s office. 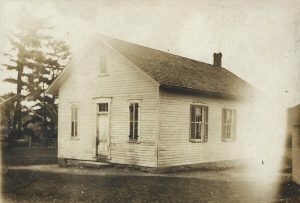 Frank Lacey once taught school in this one-room building, the remains of which can still be seen (below) on Lacey Street in Braintrim Township.